I will struggle to say the right and just things here, for it is a difficult thing to address with honesty, for all my concern and caring is of but small effect. As a white person I cannot know, in my heritage and ancestry and familial concerns, how the stigma of race and race relations has affected the African-American community. So usually, I just try to listen to their voices. By listening, I hope to gain insight, knowledge, perhaps even a small bit of wisdom. I will step beyond listening today, because I see a need to focus on the still salient and submerged failures of race in Frederick’s community and politics. A recent article by local commentator Joe Volz and reactions to it in the Frederick News-Post Forums, have done little to help improve the situation of racial identity in Frederick. Instead, sadly, the lapses of our community have been further revealed in them. Do the right thing, treat everyone with a common dignity and respect, and try to only judge them based on their actions and character. This golden rule is the easy and simple end to the long national struggle and disgrace over race. It can also be an easy, liberal answer to a problem that does little to solve the lingering current problems of racial identity, justice, and social conventions. In the third grade, amongst the lines of desks at Mt Vernon Elementary School in Alexandria, Virginia, I sat next to another young man, named Thomas, who was black. We shared a nascent friendship, we studied and worked together. He was the kind of quiet and intelligent person I have always been drawn to in life. We were a good match in composure and intellect, perfect for friends. He was quickly becoming my best friend. We walked home from school sometimes, and I played over at his house a time or two as he lived closer to the school. I remember at that time the large clapboard house, yard patched with spotty grass and big trees around, I think there were a half dozen siblings or so. Where Thomas lived was on the edge of one of the areas of the Del Ray neighborhood, considered and factually, primarily home to blacks. I was too young and naïve to know much about that kind of adult distinction. Our end of that lower middle class enclave had homes filled with black residents, we were not strictly divided, except as they say, on Sunday. It was a moment I’ve always felt with sadness, for my childhood realization of the separation and hurt of racism grew from that moment. My friend Thomas grew distant. He hid his books at home, and studied surreptitiously. I lost contact with him. I felt the loss of my friend and a change in how I related to those of other races that continued from that time forward throughout my school years. The smallest and simplest of slights can carry forward a lifetime of social division, community can be wounded by the simplest motions of spirit, like the child in Faulkner’s Absalom, Absalom who is told to use the back door of the plantation house because he is black, like soldiers returning from the war in Vietnam to disparaging reactions at airports and the neglect, like sin personified in the communities they returned home too. The tensions that divided came from both sides of the racial divide, it was a time of integration in the schools, of change, of society questioning and trying to accommodate a new vision. The television held images of civil rights marchers being beaten and mobs calling epithets and threats. A few miles away, Washington burned. With Martin Luther King assassinated, hatred erupted and restraint yielded to violence. There has been great American progress, education and opportunity are open to all equally, our society has changed dramatically from when black schools received little beyond hand me downs of worn books from white schools. In Frederick, Lincoln High served as that place of second class status to some who led our community. A great middle class segment of black society is growing and in place in all areas of community and government. Places such as Baltimore are called brown towns, Cambridge elected a first black Mayor, and counties such as Prince George’s County pale Frederick in income and education, and represent primarily black governed communities. Democrats stand ready to elect a black President. But Frederick needs more. Frederick needs a closer relationship between ethnic and minority populations and its power structure. We may need a black mayor, as Volz suggests, but less than we need a couple credible black Aldermanic candidates, black business successes, and for the rest of the Frederick community to move beyond racial lines and historic boundaries towards a vibrant and multicultural future. We need a commonality of community and interests. What Frederick needs is not a Mayor defined by any race, but all our leaders invested fully in all our citizens, and certainly not another political office carpetbagger. We need candidates fully invested in our City. We need race to fall by the wayside and for us all to work together for the common good. 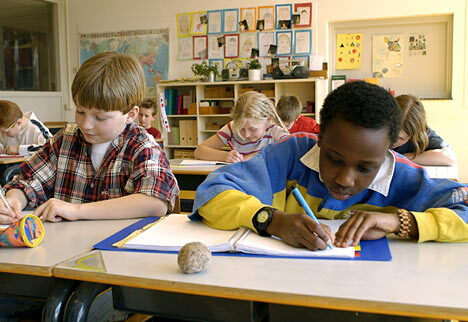 We need today’s school children to choose friends without reference to race or ethnicity. I believe that is happening more so in our schools today. I hope that my children will not experience the hurt I felt, as my friend was turned away by racism. I attended the African-American Family History Affair on Saturday. The African-American Resources Cultural and Heritage committee has been working to establish a museum in Frederick to honor the contributions and accomplishments of blacks across Frederick County. It was given life by the aspirations of many, and the personal collections of former Alderman, Bill Lee. I was not there for politics, but history, I had flyers to share about the upcoming Native Americans archeological seminar sessions in Frederick in October. One of the great lessons of history is that you cannot understand your own history without knowing how the history and family stories of others informs and questions the history you hold dear, there is no full and separate white history in America without black history. History teaches us all similar modicums of glory, disgrace, and struggle, and we share in it together. We need more people attending the events that inform us of the historical experiences of our whole community. There are lessons to be learned for today. The only moments of light in race relations come when individuals recognize the common humanity in one another, and overcome its darker impulses to divide. Some years back, another local commentator, Roy Meachum, did a much better job of discussing the politics and electoral prospects of black Fredericktonians, than have recent commentaries.